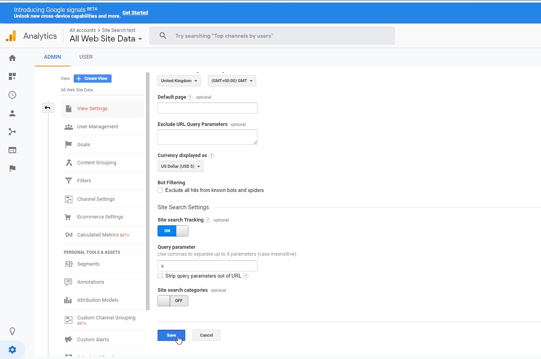 We have released a new CMS feature called Site Search Tracking. This handy tool reports what content your customers are looking for and which page they were on when they searched, allowing you to iron out kinks in your user experience. It sends those reports to Google Analytics. Helen explains how to set this up in the video below. The CMS site search feature allows visitors on your website to search the site using keywords. The site search feature is usually in the top right of your website near the navigation. If a visitor to your website doesn’t know where to find important information this could be an opportunity to improve the user experience. Visitors may be searching for things in ways you don't expect - using their own language or terminology and providing you with clues that you can use to improve site navigation and search visibility through better search engine optimisation (SEO). 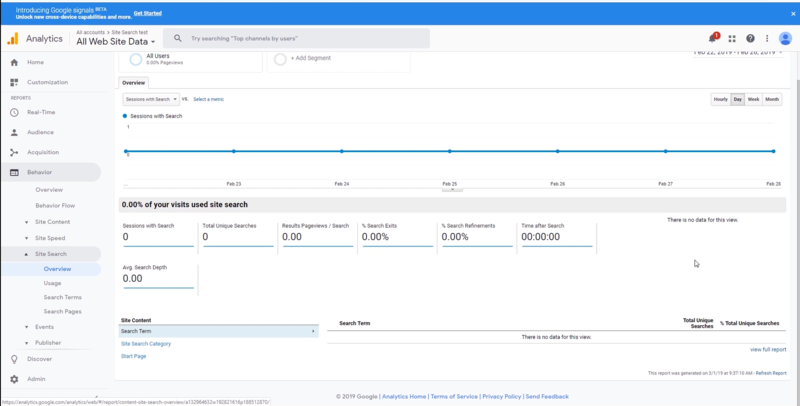 This new CMS feature pushes data through to your Google Analytics dashboard. To turn this on in your Intergage CMS you will need to go to Setup > Site Settings. You will need to have previously set up Universal Tracking. If you do not have Universal Tracking on your website please speak to a member of the support team here at Intergage. 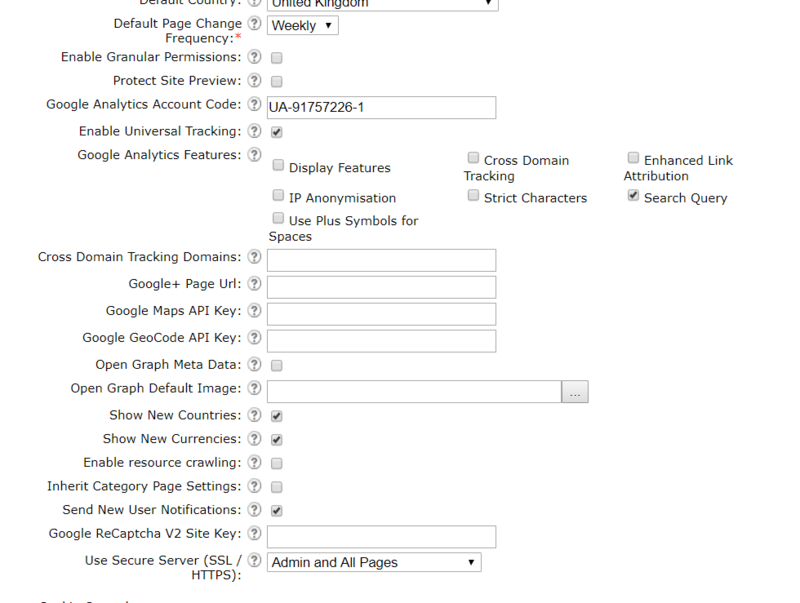 When this is checked, you will see all the ‘Google Analytics’ features as checkboxes below. You can then check the box that says ’Search Query’. Click 'Confirm Edits' and run a full site update on your CMS. This is now set up on your website. The next step is to log in to your google analytics account and go to Admin > View Settings. 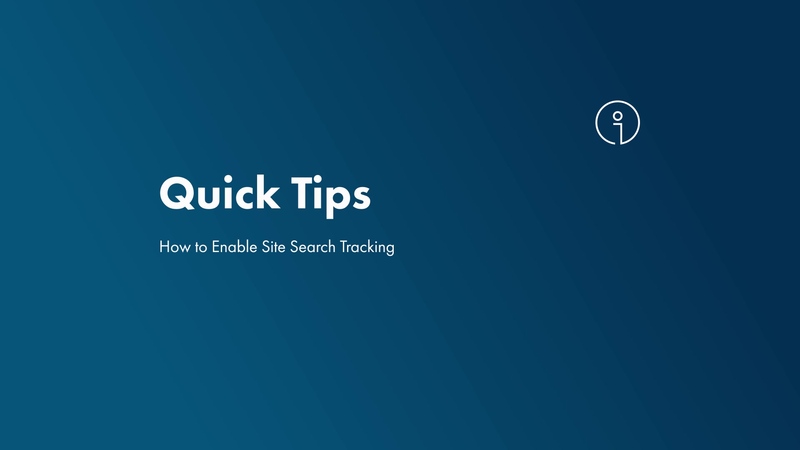 You will see a field called Site search Tracking and you will need to turn this On. In the box that appears below, you will need to input an 's' and then click Save. You then see your Site Search dashboard in analytics by clicking on Behaviour on the left-hand side of your Google Analytics account and click Site Search > Overview. It can take up to 12 hours until you start seeing data here providing people are searching. On this dashboard, you can see what people have been searching for, what page they were on when they were searching and how frequently they have been searching for it. If you have questions or issues setting this up on your website, please call us or email support@intergage.co.uk.